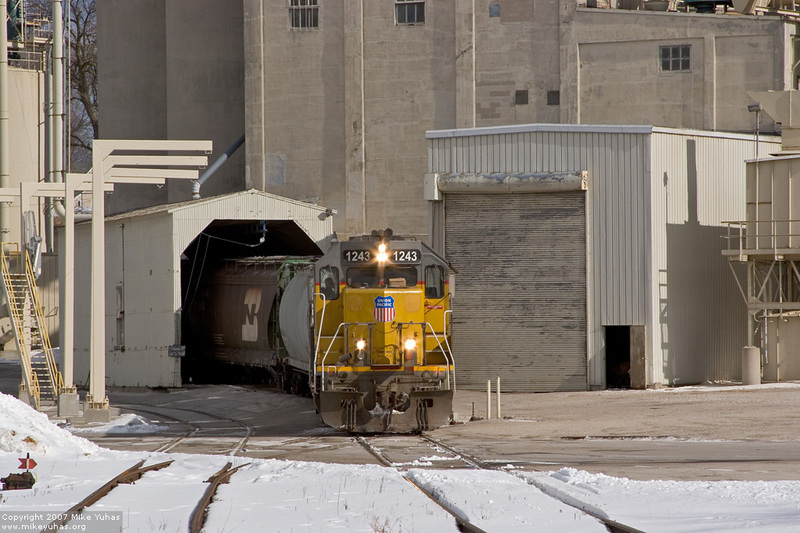 UP 1243 switches the Cargill plant. This former malting facility is essentially shut down, its status in limbo. Neighbors are against its repurposing as an ethanol plant.